Collectively, the wedding-day dreams of couples seem to be becoming more about intimacy amongst beloved guests and less about pomp and circumstance with each passing day. Given the present state of the American economy, the encroachment of social media onto every aspect of our lives, and the growing divide between those who live flashy lifestyles and can afford to host over-the-top weddings and those who are more focused on paying off student loan debt, this shift seems like a perfectly organic one. 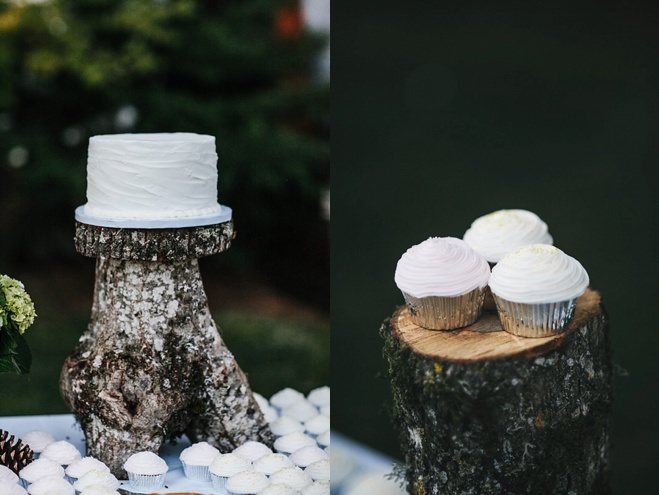 In light of the movement toward smaller, experience-focused affairs, the recent influx of simple and elegant white wedding cakes popping up on our computer screens makes perfect sense. In addition to coming in at a much lower price point, less elaborate cakes also tend to be far more edible than their heavily ornamented counterparts. 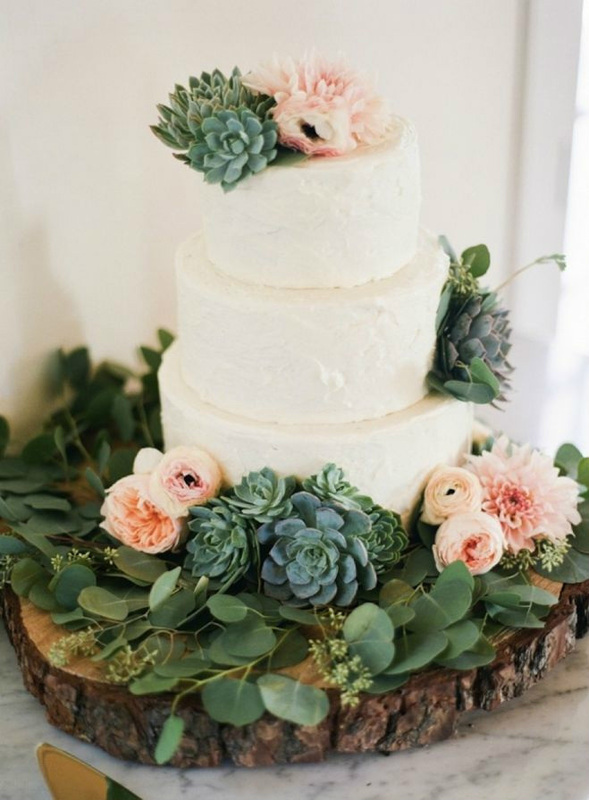 Practicality aside, the aesthetic of a minimal cake can be just as striking, if not more so, than a colorfully ornamented one, especially when it comes to rustic and vintage nuptials. Keep scrolling to get inspired by some of our favorites! 3 & 4. Hand-frosted one-tier cakes dressed up with florals, foliage and vintage cake stands are a dreamy union of elegance and whimsy. 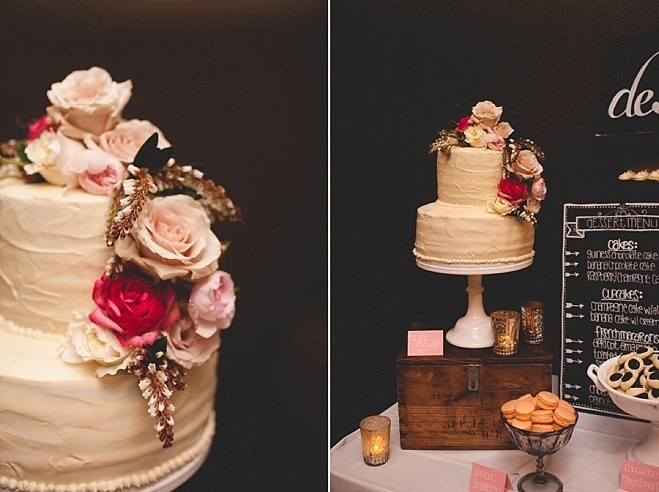 Left: Photo by Crystal Genes Photography; Cake by le Cookie M0nkey; Right: Photo by Erinn J Hale Photography; Cake by Baked.